The hotel is comprised of 16 spacious rooms, beautifully decorated with colonial style furniture, all facing the sea and bay of Grand Anse. All rooms have the following in-room facilities: King-Size Beds, Air Conditioning, Ceiling Fan, Tea and Coffee Facilities, Fridge, Room Safe, Telephone, Television, Payable WIFI Internet, Bath/Shower, Toilet and Bidet, Hairdryer, Terrace with Deck Chairs. 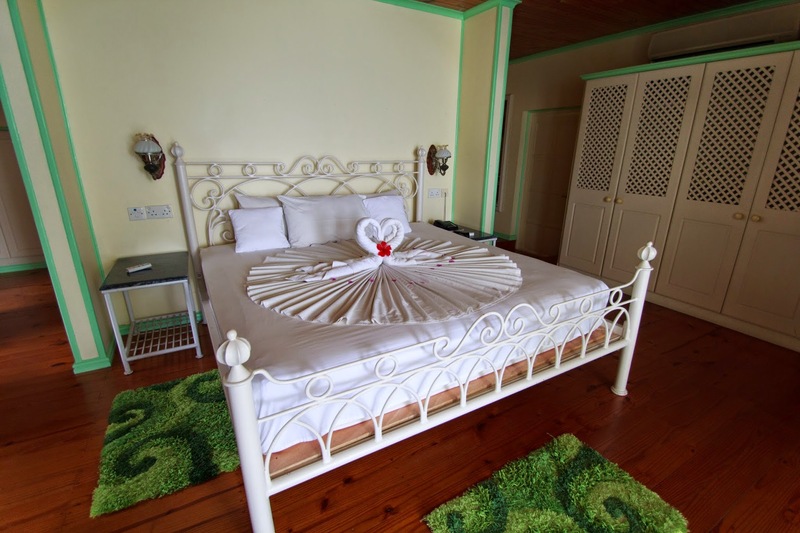 Three Deluxe Rooms on the second floor are ideally suited for honeymooners and couples. 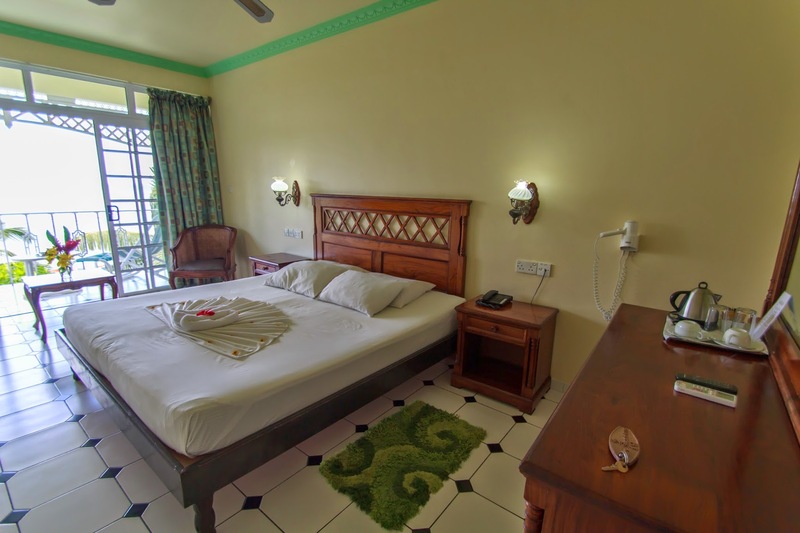 All of the rooms have a panoramic view of the ocean, and can accommodate up to 2 persons. Two Deluxe Suites on the second floor are more spacious for couples who want a larger, more luxurious room.